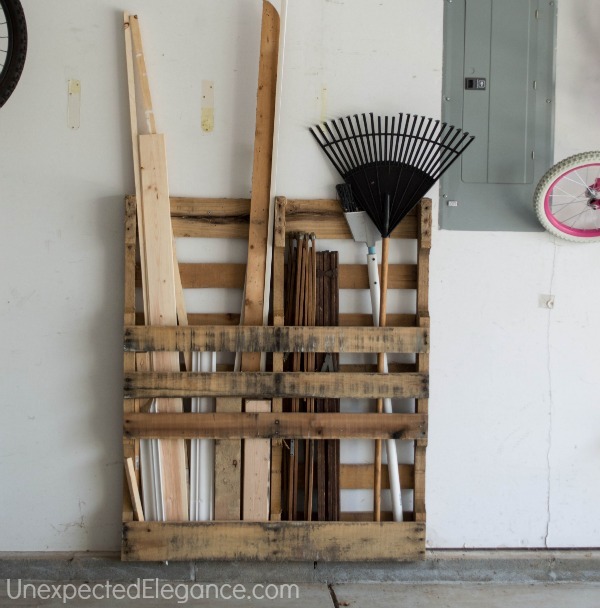 Your garage can be a valuable space… or it can be a complete dump. It’s all up to how you organize (or don’t organize) your space. 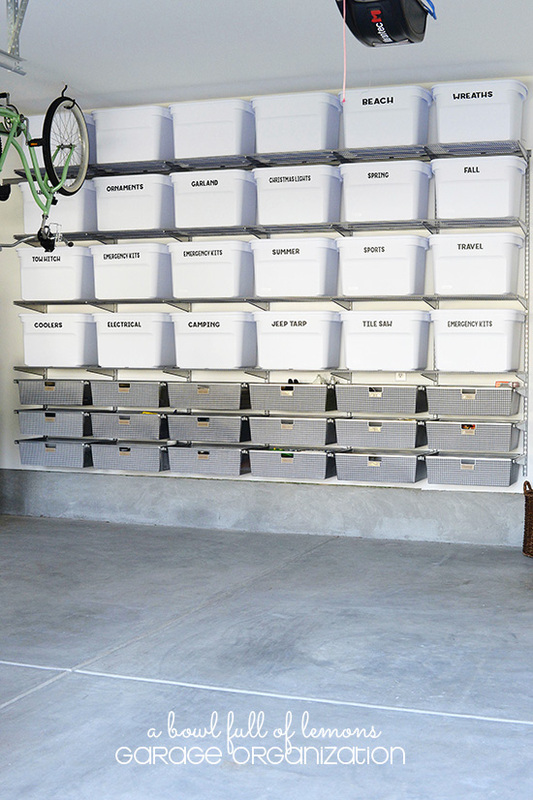 And since you loved our original garage envy post, we knew you were in need of even more ideas to organize your garage. 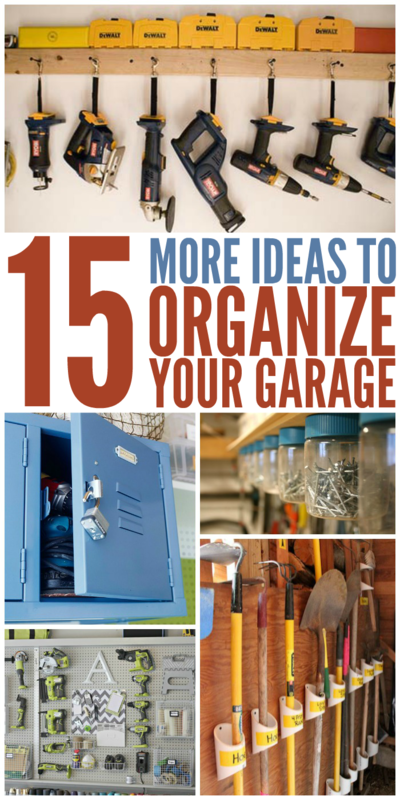 We’ve found 15 more tips, hacks and clever ideas to take your garage from messy to miraculous. 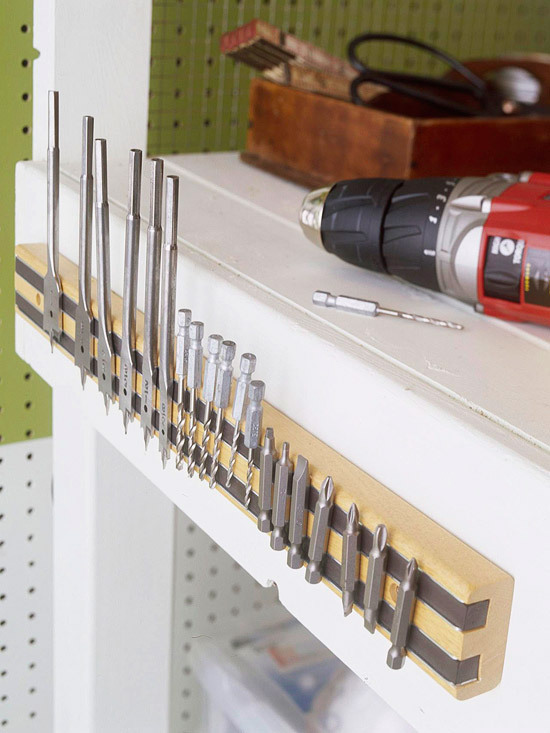 Install magnetic strips for your drill bits, screwdrivers and other small tools. Genius! 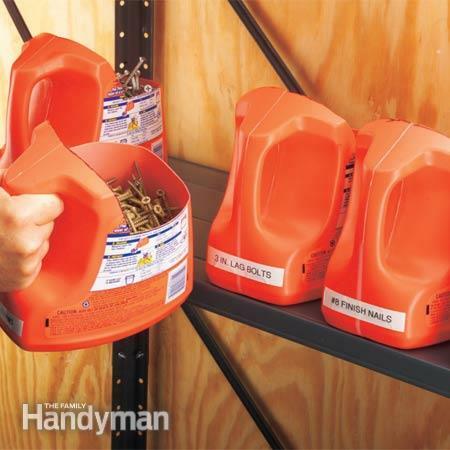 Cut the tops off laundry detergent containers, and use them to organize your nails, screws, bolts and other hardware. 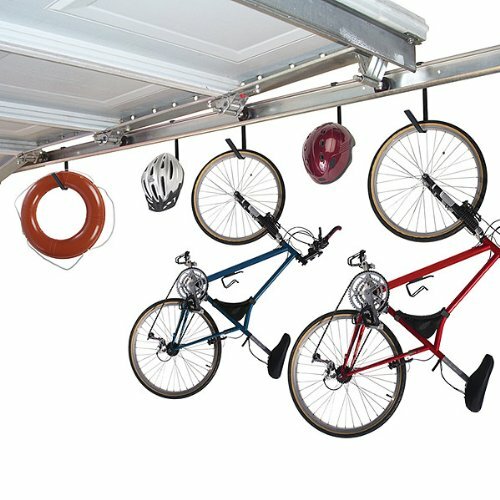 If you are limited on floor and wall space, consider getting some heavy duty clips to hang from your garage door hardware. 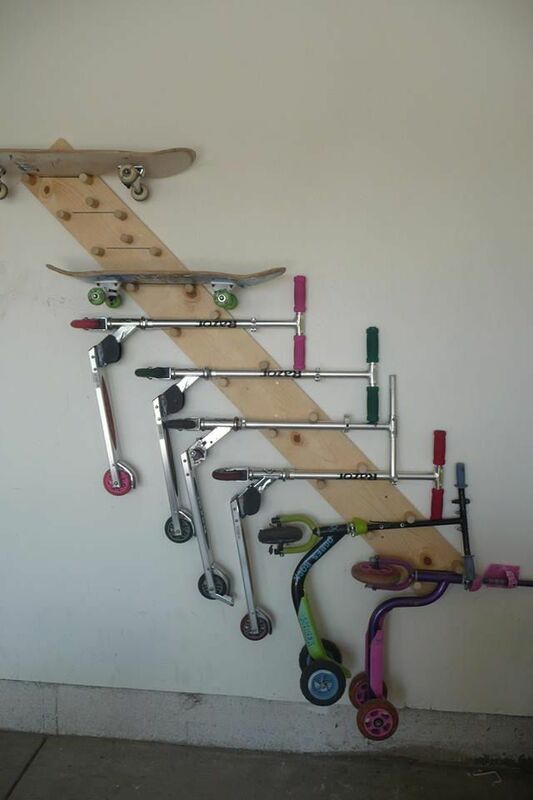 Instant bike rack! Get the bikes stacked and orderly! No more pile of kids stuff! Organize for free with shipping pallets. Many local businesses are happy to get rid of their old, broken pallets for free. All you have to do is ask! 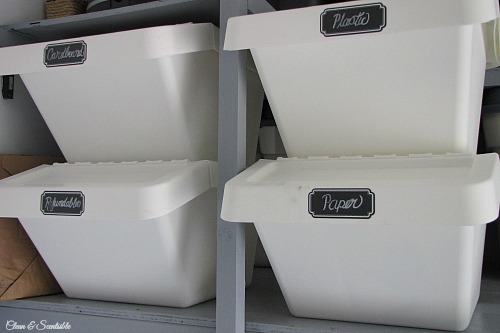 Plain plastic bins with clearly labeled contents can save your sanity. It’s so simple, but so tidy! 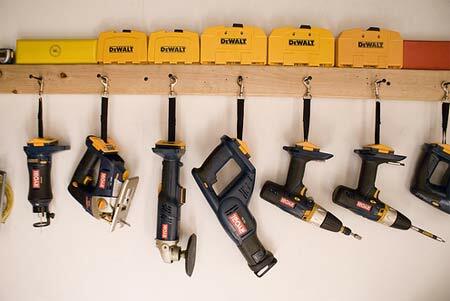 Install a rack to hang your power tools on. 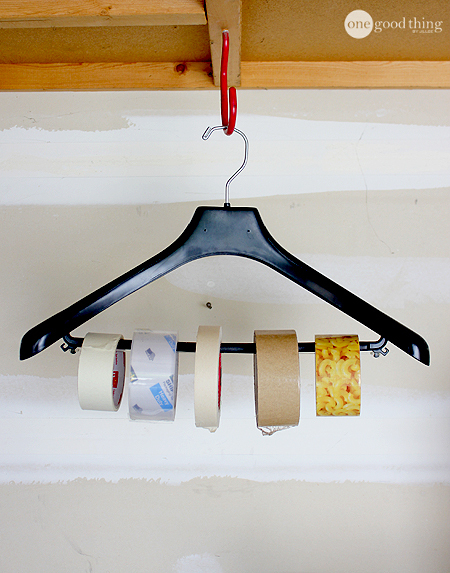 Or if you’re not into making one yourself, any old coat rack will do. 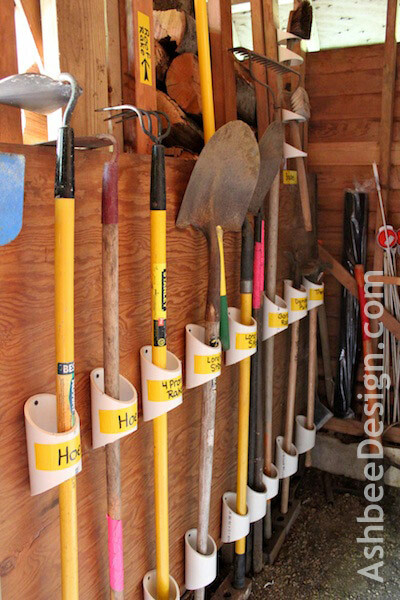 If your garage doubles as the tool shed for your gardening tools, this pvc pipe storage trick will blow you away. How smart is that? 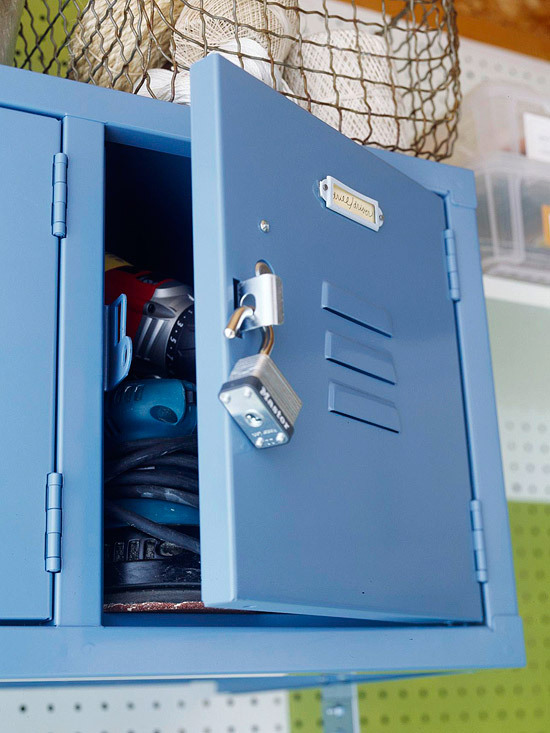 School-style lockers can keep your power tools locked up nice and tight. Helpful if you have small kids who go in and out of the garage! 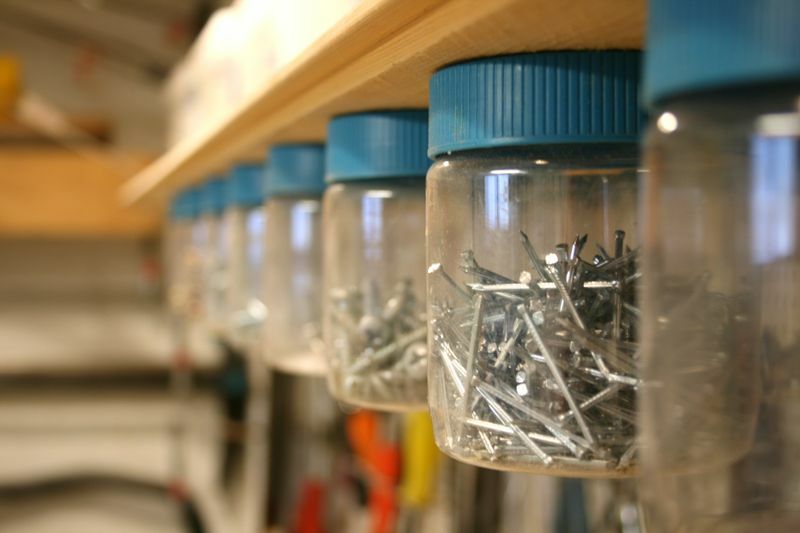 Organize screws in old jars attached to the bottoms of shelves. 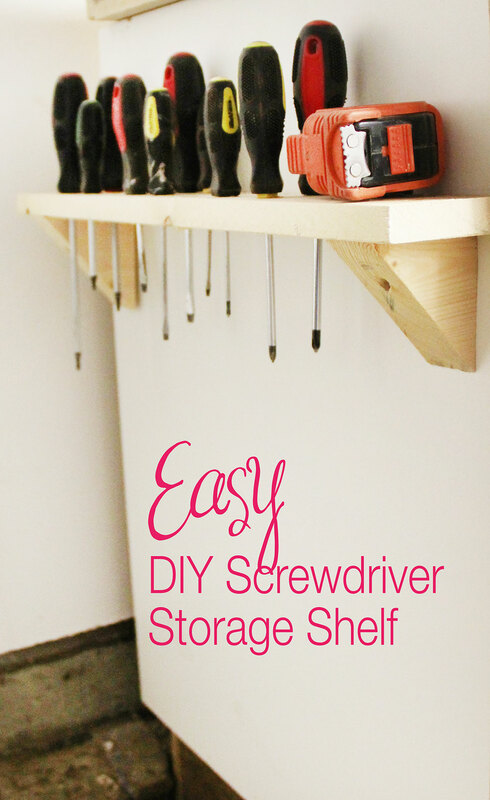 Make a shelf to hold all of your screwdrivers. 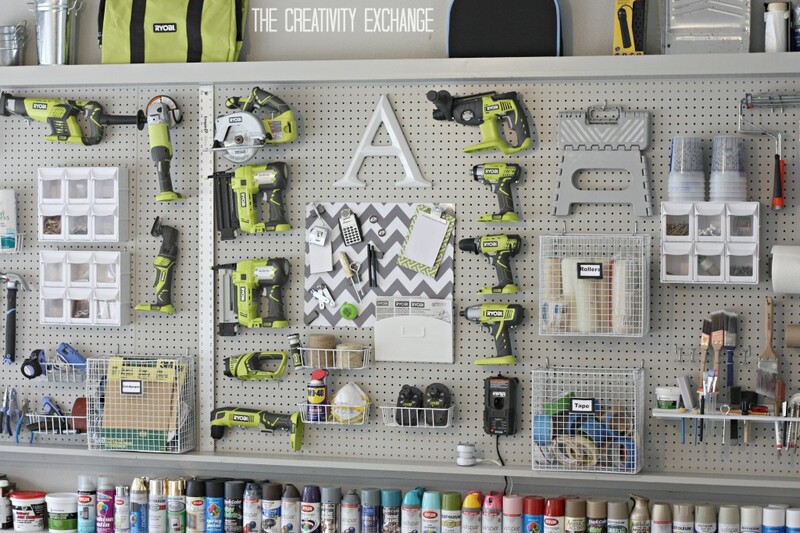 So much easier to find what you need than digging through a toolbox! 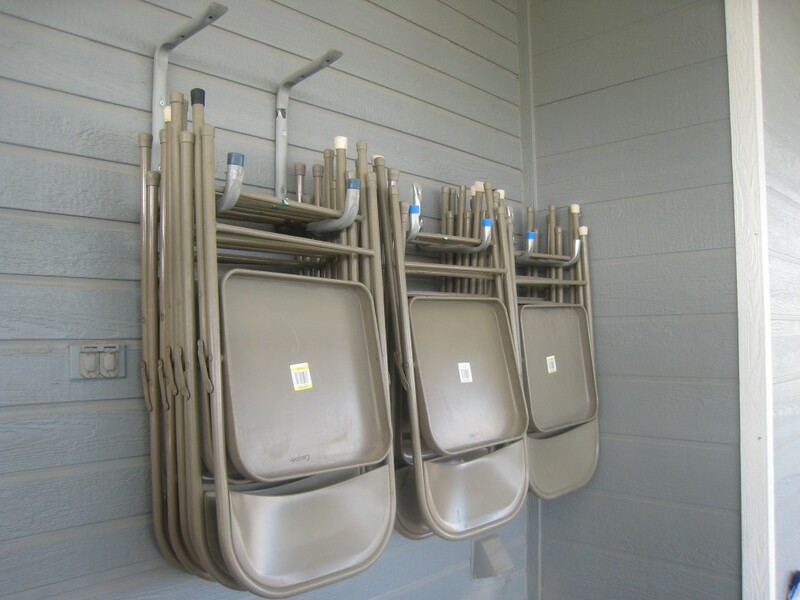 If you have folding chairs and a folding table for entertaining, hang them on the wall to save valuable space over stacking them on the floor. 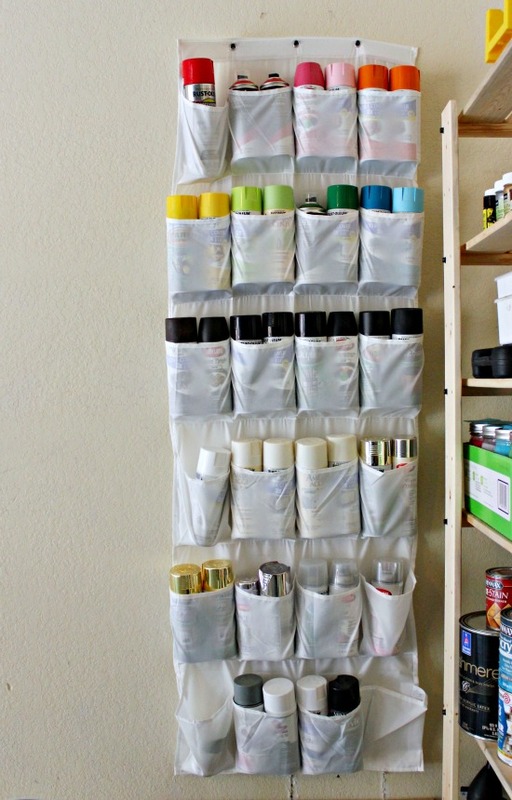 Put spray paint, WD-40 and other cans/small products in a shoe organizer. Shoe organizers typically cost less than $15 each and are so valuable around the house. Put recycling bins right by the door so it doesn’t pile up in your house. When you only have a few steps to take, you’re more likely to put it in its proper place right away. Have a big collection of tape? Put it on a suit hanger with a locking pants bar. And if you’re looking for car organization ideas or car hacks, we’ve got you covered there, too!